1. 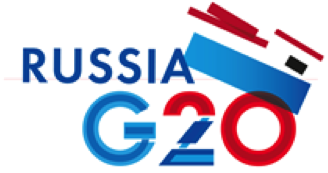 We, the G20 Ministers of Labour and Employment and the G20 Ministers of Finance, met in Moscow on July 19, 2013 to discuss strategies to promote strong, sustainable, and balanced growth with the creation of more quality jobs, while increasing productivity. 2. Although downside economic risks have subsided relative to last year, growth is still too weak in many G20 countries to materially increase jobs and reduce unemployment /underemployment, and global growth forecasts point to continued modest outcomes. Getting people into quality jobs is at the top of our agenda. Some G20 countries face unacceptably high unemployment, particularly among youth, and other vulnerable groups. In many countries unemployment is boosted by cyclical factors, but even in other countries with relatively low unemployment underemployment, informal employment, and low productivity remain crucial issues. As a result, all the G20 economies are facing challenges in terms of productivity, jobs, skills, training, working conditions, and living standards. 3. Our Leaders are united in their resolve to promote growth and more high quality and productive jobs. Properly calibrated macroeconomic policies, sustainable public finances, pro-growth structural reforms, and sound regulation are essential to achieving these objectives. We have undertaken a range of actions, both short- and long-term, to support economic growth and foster financial stability, in order to create more high quality jobs and opportunities for all our citizens. We will increase our efforts to ensure higher employment levels, and a sustained decline in unemployment and underemployment. 4. We reaffirm that promoting investment in quality jobs with full respect for the Fundamental Principles and Rights at Work is crucial, as it contributes to stable growth, enhances social inclusion, and reduces poverty. We acknowledge the important role of the social dialogue to achieve the objectives in these areas taking into account national circumstances. 5. We commit to reinforce our efforts to target investments in the employment programs, life-long learning and labour activation programs that increase youth employment, address the problems of long-term unemployed/underemployed workers, and help increase the labour force participation of the groups that face specific labour market barriers. The measures should be combined with appropriate macroeconomic and labour policies to ensure decent work, and broad-based increases in productivity. We commit to implement policies that foster innovation, enhance the skill supply, improve labour market mobility, and reduce informality. 6. Coordinated and integrated public policies are crucial to achieving strong, sustainable, and balanced growth, and restoring confidence in the global economy. We strongly support current efforts to find the right balance between the labour demand and labour supply, while ensuring adequate social protection through a comprehensive and coherent policy package. Given the high relevance of long-term investment for growth and employment, we support measures to provide better access to financing sources, including for small and medium-sized enterprises, tailored to national circumstances. 7. We will maintain supportive macroeconomic environments, which are conducive to job creation, investment, and business development, in order to allow the private sector to play its role as a driver of employment and growth. The main constraints affecting the private sector growth differ by country, but can be related, among other factors, to the investment climate, access to finance, infrastructure, new technologies and skills. We reaffirm the important role of our governments in formulating integrated policies that set the conditions for labour markets to function more efficiently, and be more dynamic. 8.6. Promoting well-targeted cost-effective and efficient labour activation programs, focused on skills training and upgrading, especially for the vulnerable groups, and fostering youth employment, including by youth guarantee approaches, promoting vocational training and apprenticeships, and facilitating exchange of best practices among the G20 countries and the social partners on activation policies. 9. We have a strong commitment to achieving higher productivity and improving living standards through appropriate macroeconomic and labour market policies. Investments in human capital and adequate social protection are central to our agenda. We recognize the importance of establishing nationally determined social protection floors, and of modernizing the social protection systems to raise their coverage, effectiveness, efficiency, adequacy, and sustainability. Our social protection policies should incentivise work for those who are able, supporting them to find and stay in employment. 10. We will strive to ensure that our future commitments to provide strong, sustainable, and balanced growth reflect our common views regarding employment, labour and social policies, and the need to integrate them with our macroeconomic policies to support economic growth, quality job creation, and social cohesion. To this end, we will strengthen our collaboration to ensure consistency between these policies.